Homeowners looking for a quality home in Pune should have a look at Godrej Elements The residential complex has come up in Hinjewadi, and the residents can enjoy a wide range of amenities in these residences. You can buy 2 and 3 BHK apartments in the residential complex. The estate has been developed for the luxury-seekers. The prices of apartments in the residential complex range between INR 80.08 lakhs to INR 1.57 crore. You can get a home in this estate and live up to your housing dreams. Pune is one of the most important commercial cities of the country and it is known for its commercial prospects. The IT infrastructure in Pune is fast developing. A number of blue-chip companies are coming up in the city. The MNCs are also fast expanding to the city. The demand for homes in Pune is increasing over the years. Investors from various parts of the country are looking forward to buy quality homes in the city. 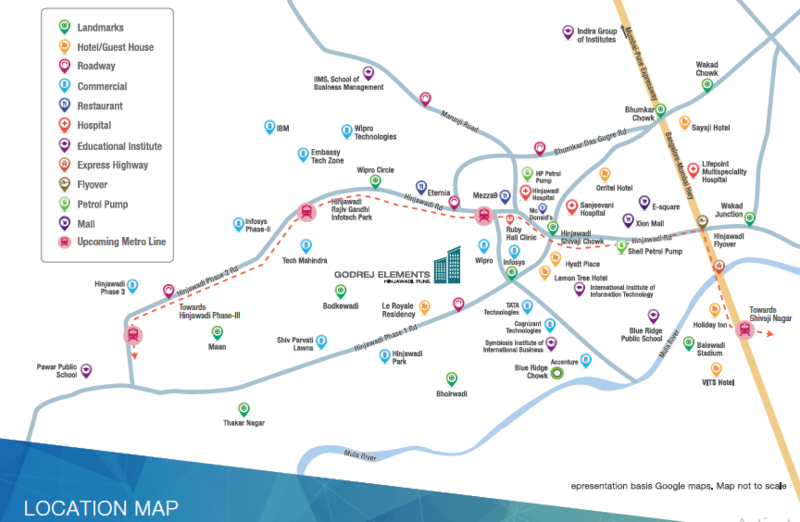 When you get a home in Godrej Elements Hinjewadi, you can enjoy the strategic location of the residential complex. The apartments are spacious and the interiors are elegantly designed. You will love the wide balconies and large windows in the complex. People with a fascination for green living facilities can get their dream homes here. The residential complex comes with extensive landscaped areas, with beautiful green spaces. The residents can enjoy their time in the extensive open areas in the complex. The floor plan of the complex has been intelligently made, leaving the residents with a large area for public use. You will enjoy the living infrastructure in the residential complex. The transportation system in the city is well-developed. The residents can easily reach the important commercial zones in the city from their residences. The RajivGandhi National Tech Parkis located close to the residential complex. Other business hubs, too, are located in close proximity to the estate. You can navigate through the city with ease, thanks to the well-developed roadways in the city. The Godrej Elements price is likely to rise in the coming months. For investors and homeowners willing to buy an apartment in this complex, this is the right time to make the investment. The places of entertainment are also located close to the residential complex. Several shopping malls, multiplexes, bars and restaurants have come up close to the city. You can easily get across to these places through the well-developed transportation system. The educational and healthcare infrastructures in Pune are also refined. A number of schools and hospitals are located close to the residential complex. You can easily reach these social institutions from your homes when you move here. 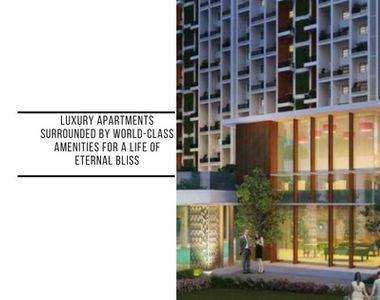 The residential complex comes with a wide range of lifestyle and healthcare amenities for the residents. These include swimming pool, gym, tennis court, basketball court, various indoor and outdoor games, amphitheater, and much more. If you are willing to buy a property in Hinjewadi, you can go for these homes. Enjoy the classy apartments with green living facilities, while you reside close to the commercial zones in Pune. Land Area - 7 Acres. IP Series Video door phone.